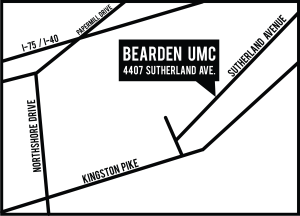 Welcome to Bearden United Methodist Church! Please take a few minutes and explore our website. The “Ministries”, “Connect”, “Leadership” tabs at the top of every page and the events on this page are a great spot to start. At Bearden, we love to lead people into a relationship with Jesus Christ to change the world. We are dedicated to building a community of sharing, leading, nurturing, and sending! We lead children to know, love, and follow God. We offer a safe and clean nursery, high energy Kids' Church, fun and engaging Sunday School classes, Children's Choir, monthly Parents' Night Out, and a variety of seasonal events. Fuse is a place where students connect in a time of fellowship and community to lead others in a growing relationship with each other and with Jesus Christ. We lead the congregation in worship and provide special music throughout the year, including our Christmas Cantata with a full orchestra and seasonal handbell concerts. People who commit their lives to Christ. Experiencing worship through the sacraments, Bible Study, fellowship, and prayer. Sending people into the world as servants of Jesus Christ.